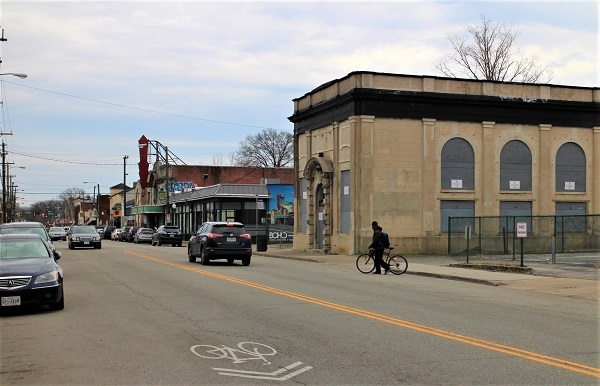 While neighborhood pressure has turned up the heat on one prominent property along Brookland Park Boulevard, another building considered prime for redevelopment and a potential catalyst for the corridor is now up for grabs. The former Brookland Theatre building at 115 W. Brookland Park Blvd. hit the market Friday with no asking price. Showings are scheduled to start today, with offers accepted for both purchase and lease, said Porter Realty’s Wilson Flohr, who listed the property for owner Hampton Nash LLC. 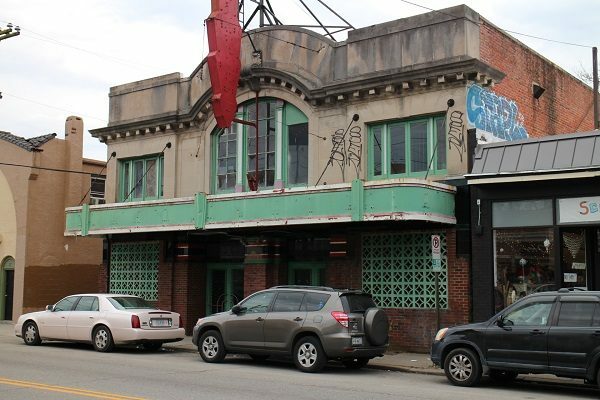 The Richmond-based development group, led by Kyle Johnston, purchased the nearly century-old, 6,300-square-foot building in 2016 for $106,000. City property records show the latest city assessment valued the 0.13-acre property at $122,000. But interest from other developers and potential users prompted Johnston, who was unavailable for comment Wednesday, to put the property on the market, said Flohr, who has worked with Johnston on other listings. Flohr said the listing doesn’t include an asking price because they wanted to see what offers they get. He said offers for both sale and lease will be accepted. Flohr said interest received so far has included groups wanting to restore the building as a theater or event venue. Built in 1925, Brookland Theatre showed movies for several decades before closing. The property is eligible for federal and state historic preservation tax credits, as well as tax abatement, according to a marketing flier. It’s also located in a city enterprise zone, and eligible for state and local incentives and loans through the city’s CARE Program, which aims to revitalize commercial districts in low- and moderate-income areas of Richmond. Brookland Park Boulevard has gained attention in recent years from developers who see it as one of Richmond’s next hot spots. Most recently, observers have pointed to the theater building and the nearby former American National Bank Building as properties holding back the corridor’s full potential. 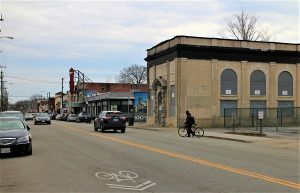 The old bank building at 201 W. Brookland Park Blvd., with the Brookland Theatre building visible in the background. Cory Weiner, a local developer who has amassed enough properties to become the largest commercial property owner in the corridor, was among those who in recent months called for action on those properties, describing them as blight and neglected. Reached Wednesday, Weiner didn’t say whether he’s interested in the theater building but described the listing as a positive step for the neighborhood. 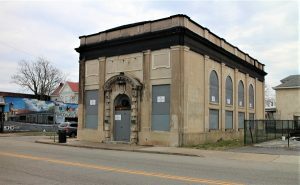 LaMar Dixon, whose Dixon/Lee Development Group owns the scrutinized bank building at 201 W. Brookland Park Blvd., expressed surprise that the theater building was being listed for sale. As for his property, Dixon said he remains committed to his plan to convert the bank building into a business incubator, despite an order from the city requiring repayment of grant funds after finding him in default of a years-old development agreement. Dixon said he is talking to potential collaborators for the project, which also recently lost involvement from Virginia Union University. The former American National Bank building. The city’s order required Dixon to repay the $200,000 in grant funds within 30 days. The order was sent March 18, making the repayment due April 18, according to Doug Dunlap, director of housing and community development. Dunlap said legal action would be taken if the funds are not received by that date. If a judgment is awarded in court, Dunlap said the Richmond Redevelopment and Housing Authority, which owned the bank building prior to Dixon, would have the ability to take action to recover the property. “It is (the) administration’s intent to ensure that both the funds and property are recovered and transferred to another entity that will complete the full redevelopment of the property,” Dunlap said in a statement. 6 Comments on "Brookland Park theater building put up for sale"
Yeah that’s a downvote. Been hearing that for far too long, buddy. The time is now, the income is there – bring the change or residents (such as myself) will just leave in a few years and the area will fall into disrepair all over again. Andrew then shop local (and not saying you don’t). The Dixie Bell burger place that opened for less than 5 months was really good but I went to dinner and we were the only couple on Friday night. They closed as they got NO support (aka diners). I hope, and think it will, improve but the numbers don’t lie. Income is just not there yet. Agreed–wishful thinking never supported a business for long. Quite the contrary, it’s been responsible for many a failure. Mind, I hope for the best for this ‘hood and any like it trying to improve their fortunes. Yeah the demand isn’t there yet. The community is improving but Brookland Park isn’t Scott’s Addition. It’s got years to go to create a demand for these types of projects. Barton Heights, Highland Park and the Northside, in general, are 20 years away from being a Church Hill. The time is not right for a viable business corridor in that area.